It is great to hear that she is getting better and better everyday. This morning she weighed at 264g a couple of grammes heavier than yesterday morning, still a little wobble on her feet, her poo seems to be a little bit firmer, had two 5ml syringes of Hills Prescription Diet Canine / Feline A/D made into a soup then fell asleep. She got heat pad under now, will chech her in a couple of hours. Seems to me like she is getting better and better everyday. Oh dear. You never know Ron, she might make it, but you just kind of know when it's time. She was safe, warm and cared for - you gave her so much Ron, she had the best chance possible. sometimes all we can do is provide comfort and hope for the best. Sorry to hear that Ron. You did your best. 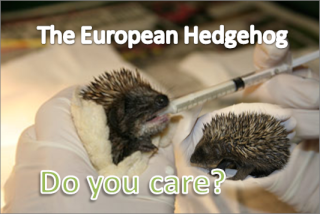 Sadly, this is all part of caring for Hedgehogs. Best of luck for future Hedgehogs.